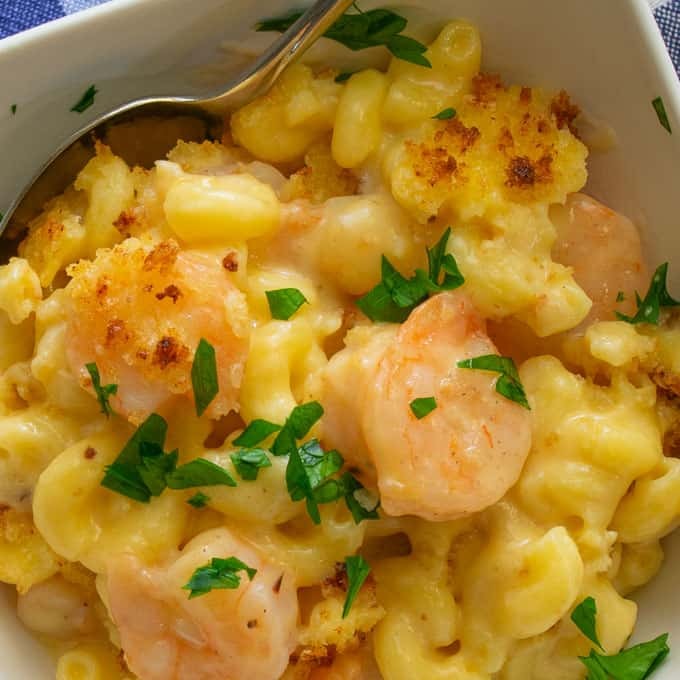 Shrimp mac and cheese needs to be on your shortlist of recipes to make. It’s a one-pan meal and takes around a half hour to make. 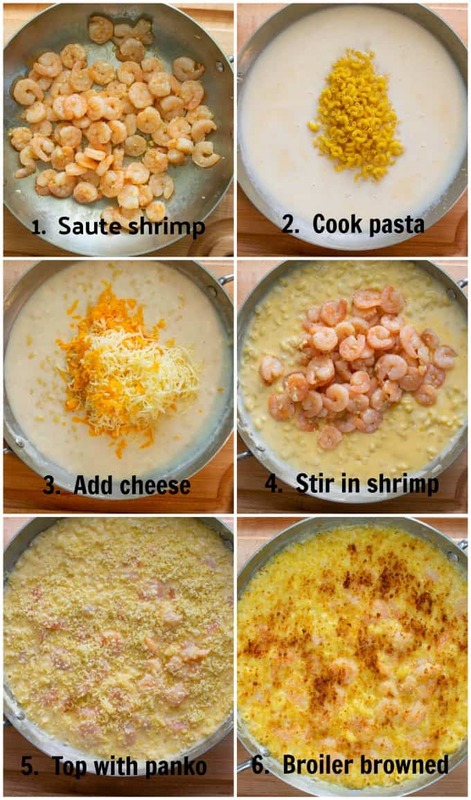 If you like creamy cheesy….and shrimpy…and a little crunchy, you’ve come to the right place. 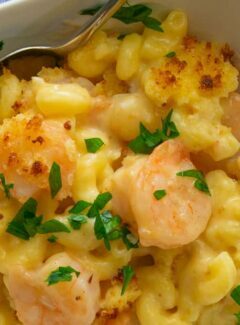 This shrimp mac and cheese is all of this. And did I mention it’s made in one pan? 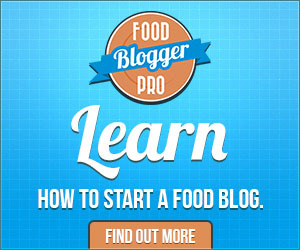 This has got to be one of the tastiest, easy to prepare meals there is. And, have you ever had mac and cheese that after a few bites your stomach is telling you, “This is too filling?” That’s the kind of mac and cheese made with too much butter and too much cream. It is just flat out too Rich. Well you can forget that, as we’re going to use less fatty ingredients and wind up with a pleasurable, flavorful meal. Use a large, deep, oven safe skillet to make the dish. Put it on the stove on medium high heat and add the butter and oil. The shrimp I used was thawed, previously frozen and peeled, sold in the seafood case at our Publix. The size was 40 to 50 per pound. Small frozen raw shrimp would be fine, just allow time for thawing. You can place them in a colander and run water over them every now and then until they’re thawed. Pat the shrimp dry then throw them into the skillet. Spread them out as best you can for contact with the skillet. After a couple minutes they’ll start to turn pink. At this point, add the minced garlic and continue to turn the shrimp until most are all pink. There may be some that still look a little gray but that’s okay. They’ll finish cooking later. Remove them from the pan and set aside. Next make the roux. Melt the butter on medium heat then add the flour. Mix and let it cook for a minute. Whisk in the milk and bring to a boil, (you can crank up the heat at this point). You may notice that there may be some browned bits on the skillet, so use a wooden spoon or something similar to scrub them off. Keep whisking until thickened, then add the water. Bring this to a slow boil and add the macaroni. Cook for 7 or 8 minutes until al dente. Take the skillet off the heat and add the cheese and stir to melt. 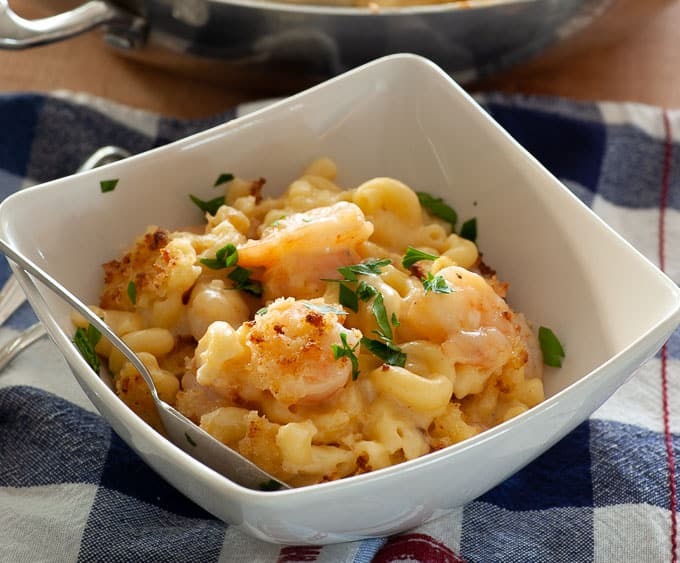 This shrimp mac and cheese is nearly done….get ready to eat. Add the shrimp back to the pan and stir to combine. At this point, give the dish a taste and add salt and pepper if you desire. Sprinkle with the panko, parmesan mixture. The final step is to brown the panko breadcrumb crust under your oven broiler. A couple minutes is all it should take to crisp up the panko. Serve with a salad or veggie on the side. Leftovers can be easily reheated in a microwave. Just add 3 or 4 tablespoons of milk to get the creaminess back. Super quick to make mac and cheese meal that tastes fantastic. Set oven rack about 8 inches from the broiler element and start the broiler. Mix together the panko breadcrumbs and the parmesan cheese in a small bowl, then drizzle in about a tablespoon of olive oil while stirring. Set aside. Use a large, deep, oven safe skillet on medium high heat, add 1 tbsp each of butter and olive oil. Add the shrimp and cook until they begin turning pink. Add the minced garlic and toss the shrimp around until most are fully pink, 4 minutes. Remove the cooked shrimp from the skillet and set aside. In the same skillet on medium heat add 3 tbsp butter. Once melted, stir in the flour and cook for 1 minute. Whisk in the milk and bring to a boil. Scrape up any browned bits on the bottom of the pan with a wooden spoon. Add all the water to the skillet and bring to a boil, then add the macaroni. Cook for 7 or 8 minutes until the pasta is al dente. Remove from the heat and stir in the grated cheese to melt. Next, add the cooked shrimp and combine. Taste and add salt and pepper as desired. Sprinkle with the panko, parmesan mixture and place under the broiler until the crumbs begin to brown, about 2 minutes. Serve hot with a side salad or vegetable of choice. Colby, Monterey Jack or other good melting cheese can be used. Leftovers can be refrigerated then reheated in a microwave, just add 3 or 4 tablespoons of milk to bring back the creaminess.